Most people have heard that the nation of Australia began as a British penal colony when the First Fleet bearing some some 750 convicts landed at Botany Bay in 1788. While the first settlers in the colonies which would become the Australian states of New South Wales, Queensland, Tasmania, and Victoria were primarily convicts, South Australia was founded in 1834 as a colony of free settlers. As might be expected, most of these settlers immigrated from England, Ireland, and Scotland. However, there were a significant number who came from Germany. In the 1830s the Prussian king, Friedrich Wilhelm III forced the union of the Calvinist and Lutheran churches and any community which continued the old Lutheran practices found its pastor jailed and its land confiscated. In 1838 a group of 54 families fled this persecution by embarking on the ship Zebra and sailing for South Australia. They negotiated for the use of 240 acres of uncleared bush land about 16 miles outside of the city of Adelaide and founded the town of Hahndorf, which was named for Dirk Meinhertz Hahn, captain of the Zebra. 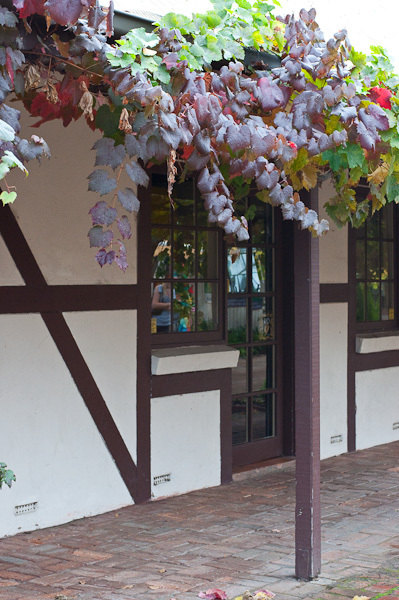 Hahndorf is the oldest non-British, European settlement in Australia. Other communities with German roots include: Grunthal founded in 1841, Lobethal founded in 1842, and Bethany, also founded in 1842. In addition to introducing some tasty German cuisine to the local, primarily English colonists, the German settlers in South Australia were quite influential in Australia’s burgeoning wine industry. They planted the first vines in the of the now famed Barossa Valley wine region where some of the world’s best Shiraz grapes are now grown. The “oldest non-British settlement”? Really? I’m sure the natives would beg to differ. Whoops, edited to make more clear.